Ready to relive some retro games directly in your web browser? If you're bored at work and your mind suddenly drifts to those hours you spent punching a Nintendo Power Pad as a child, don't worry. You can warp back to your youth without ever having to leave your desk. 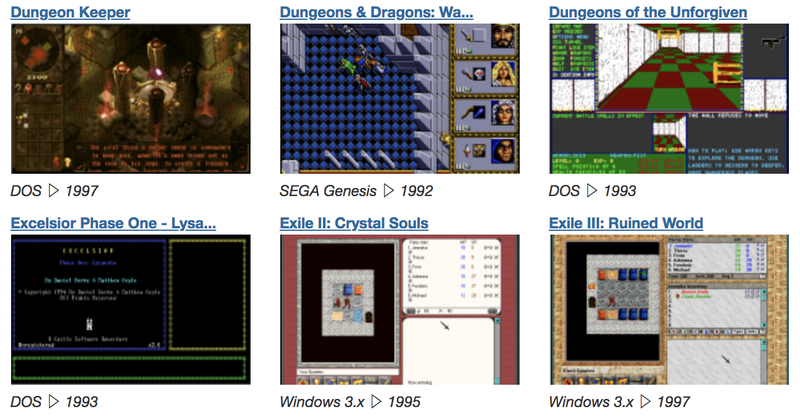 Check out some of these amazing web sites that let you play all the classics right in your browser - no emulator apps or ROMs needed. 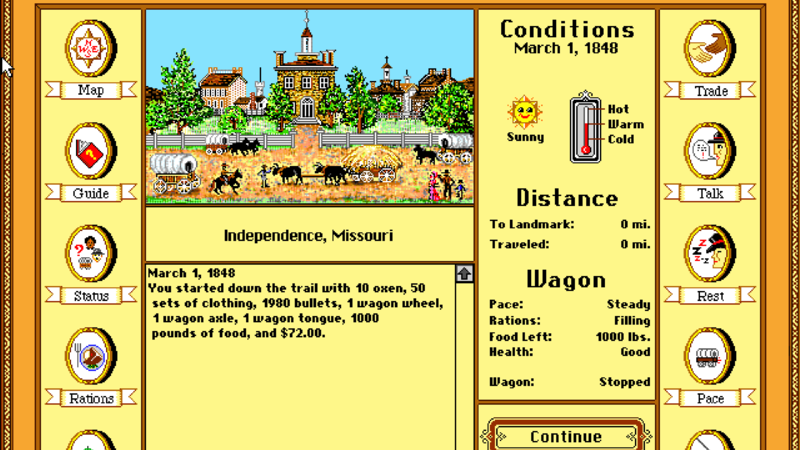 Though it can sometimes be a little tricky to figure out a game's controls, it's a small price to pay for a huge archive of classics you can play directly in your browser. You can also check out Archive.org's DOS Collection for some classic PC titles (including some Sierra classics such as Leisure Suit Larry in the Land of the Lounge Lizards). And if you aren't feeling like gaming at the moment, you can even play around with some old-school Windows 3.1 or Macintosh apps. It's tough to find great web sites that allow you to play games in your browser without having to install Adobe Flash. Retro Games Online has a great HTML5 player that loads quickly and feels responsive. The site isn't as well-categorised as its peers, and it runs ads before loading emulated games you want to play, but it's a great option for some classic console gaming - including the greatest Super Nintendo game ever, The Legend of Zelda: A Link to the Past. Like Retro Games Online, Emulator Online is a bit ad-heavy, but it at least offers categories for the various games it hosts to make your browsing a bit easier. The HTML5 web-based emulators also load quickly, but boy can it be a pain to try to switch between the many buttons and joysticks of a Nintendo 64 controller on a computer keyboard. That isn't going to stop us from playing Mario Kart 64; it's just a big learning curve. You can't do a lot on clb.demon.fi's website, but its faithful HTML5 port of the Scumm engine is one of our favourite time-killers. 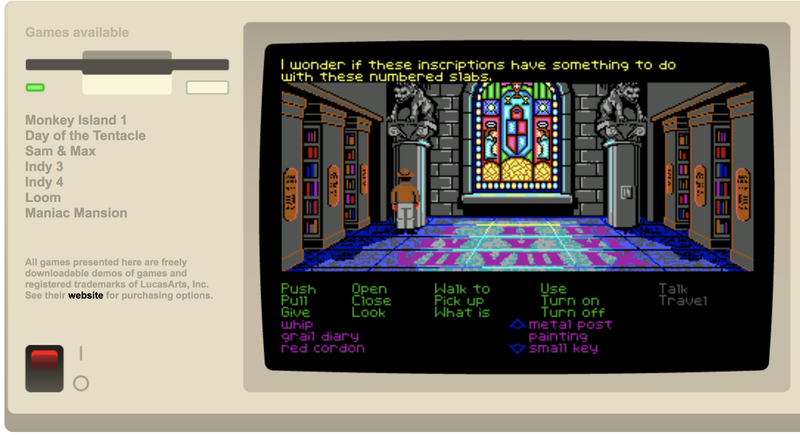 Said Scumm engine, if you didn't know, is what you used to play those ancient "click on a word, click on an item, perform action" LucasArts adventure games, and you get seven to choose from on clb.demon.fi's site. We especially love that Day of the Tentacle is fully voiced - subtitles just wouldn't do that game justice.